DISTANCE FROM CBD: 80km, down the Napier Taihape road. The drive is twisty so expect a little over an hour. 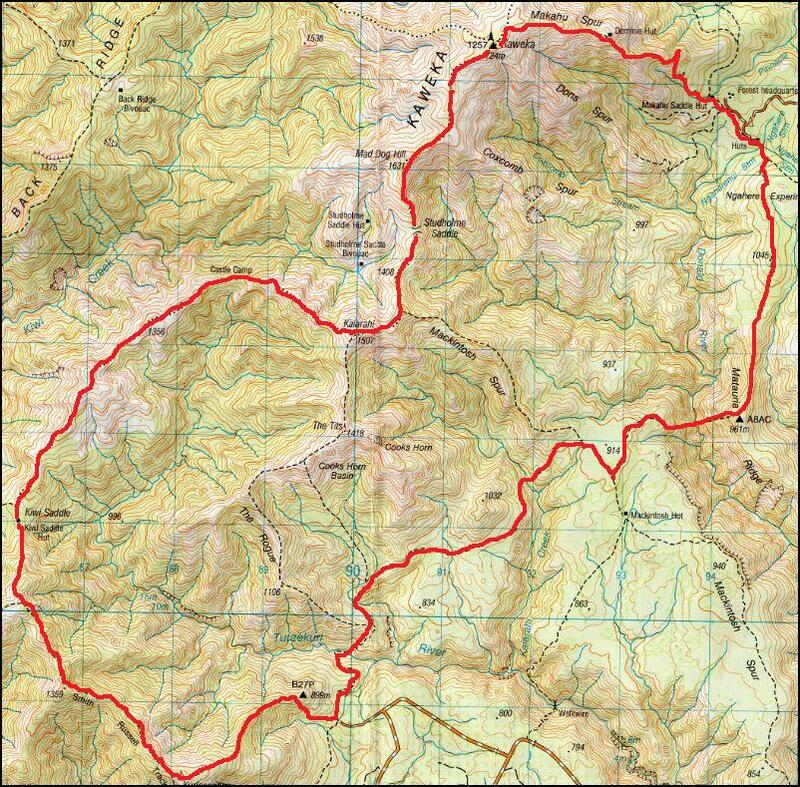 As you drive down the Napier-Taihape road you will enter the Kaweka Forest Park, look out for a sign on your right (If coming from Napier) that’s points towards The Mackintosh and Lakes car parks, this will lead you about 6km up a gravel road to the base of Kuripaponga. If unsure ask at the local DoC office. Google Maps gives a reasonable approximation. RUN IT: WARNING: Do not attempt this course without a map and a compass, and make sure you can use them. Even in summer it can be very easy to get lost in poor weather, and common sense is more important than fitness in this instance. Make sure you take at least 2L of water with you and plenty of food, as there is no place to refill Between Kiwi Saddle Hut and Ngahere. 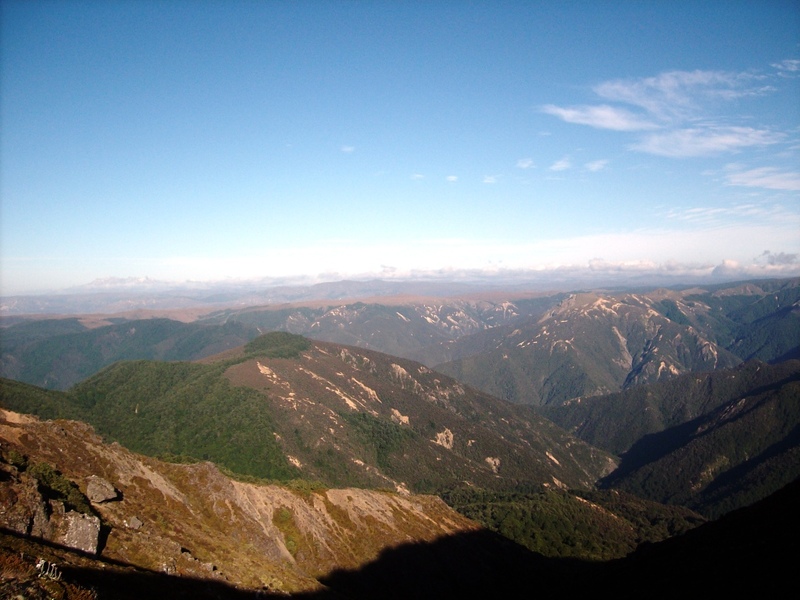 The track can offer spectacular views of Hawkes Bay, the Central Plateau, and offers a satisfying challenge for even the most hardy runners but can also be dangerous if not respected. Starting at the Lakes Car park follow the track signs to Kuripaponga and Kiwi Saddle Hut. This is a very steep climb and depending on fitness could take over two hours to reach the hut. From Kiwi Saddle follow the sign posts to the right leading towards Studholme Saddle, past Castle Camp and Kaiahari. This is an entirely poled route; although it is well walked and a track is visible don’t rely on this fact. You will pass another sign post pointing towards Kaweka J or Mackintosh Spur, if you are having a hard time or weather is very poor it would be wise to head down Mackintosh Spur and follow the track back to lakes. If you’re planning on continuing, head towards Kaweka J, following the poles and signs. Once on the summit of Kaweka J, descend via Makahu Trials Spur NOT Dons spur ( Dons spur track no longer exists, and if you take it, you will find yourself on a scree slope and not having much fun ). Follow Makahu Spur all the way off the summit until you reach the Makahu Saddle Hut/car park. From the car park, follow a small track that will come off of your right, this will lead to the Ngahere Experimental Basin, and a sign post that will point towards Mackintosh Hut. Follow the clay pans towards Mackintosh until you come to a very, very steep gully that leads to the Donald River. Take it easy descending and ascending this gully, as it’s very steep and can get slippery in wet weather. Before you reach Mackintosh Hut you will come to a sign post that will point towards Mackintosh Spur and Studholm Saddle, follow this track for roughly 10 minutes until you come to another sign that will point you back towards the lakes car park. Stay on this track until you’re eventually back at where you started. POST RUN GOODNESS: There are no close cafes or eateries nearby the beginning of this run, so it would be wise to take enough food with you and leave it in your car for when you finish. I always find a thermos with hot Milo is just the ticket after completing this course. There is a track down Don’s spur, marked by warratahs on the way down. A couple of places you need to search for the warratah to find the correct way down.